Born September 26, 1939, Terrell Harris grew up in Salt Lake City. Her first published work appeared when she was in third grade, reporting news from her elementary school for the local newspaper. By her senior year in high school, she was a stringer for Good Housekeeping magazine's column on trends in the younger generation. In her sophomore year at Stanford University, she was one of twenty winners of Mademoiselle magazine's College Board Contest. She married Paul Dougan January 5, 1960 and they went to Manila, Philippines, where Paul had shore duty with the U.S. Navy. There Terrell was offered a job with the U.S. Information Agency, writing for Free World magazine about events in countries throughout Southeast Asia. Upon returning to the U.S., Terrell gave birth to her first daughter, Katy, and also acquired a German Shepherd puppy which refused to be trained. By the time she had her second daughter, Marriott, she took out her frustrations by writing a piece about the dog, which she eventually submitted to Salt Lake City's Deseret News. The editor asked her to write more, and from 1967 to 1980 her humor column, Of All Things, appeared every Monday evening. 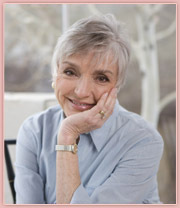 It won an award for Best Personal Column from the National Association of Press Women in 1975. She also co-wrote and self-published This is the Place: An Entertaining Guide to Salt Lake City, with her friend Jo Rose, which was updated ten times over twenty years. The book We Have Been There: A Guide for Families of People with Mental Retardation, which she co-edited with Pat Vyas and Lyn Isbell, is a collection of stories from the heart from families all over Utah, and by the mentally disabled themselves. It was eventually picked up by Abingdon Press and is still used in some college classrooms in special education around the country. Terrell took a vacation from writing while working for Governor Scott Matheson of Utah. She also got her private pilot's license, acted in many commercials and on the stage of Pioneer Theater in Salt Lake, and, with her husband Paul, put on the weddings of their two daughters. The years that followed were rich with four granddaughters that Terrell got to tend whenever she could. It was only when these granddaughters passed into adolescence and got busy with their own friends that Terrell realized she might as well pick up her pen again. She wrote an essay, Flying Chickens and Full Circles, in the national contest of Writers@Work, Utah's serious writer's conference. This essay won an honorable mention in the Creative Non-Fiction category, and this gave her the impetus to expand on the subject of caring for her younger sister Irene, and to complete her book, That Went Well: Adventures in Caring for My Sister. It will be published in January by Hyperion Books. Terrell lives with her husband of 48 years, Paul, in Salt Lake City. Her two daughters and their families live five minutes away, and Irene lives just up the hill, happy and busy with companions who care for her and love her.